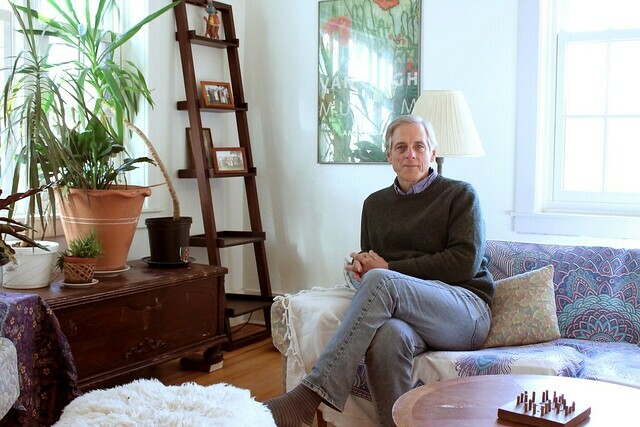 Pictured above is Professor and Chair of Computer Science Luke Hunsberger in his home. Come June, Hunsberger expects to be pushed out of his residence on College Avenue for the Inn and Institute. Talya Phelps/The Miscellany News. In a letter early this February, Professor of Chemistry Miriam Rossi invited President of the College Elizabeth Bradley to read the lyrics of “Big Yellow Taxi,” by folk singer-songwriter Joni Mitchell: “Don’t it always seem to go/that you don’t know what you’ve got till it’s gone/ They paved paradise/and put up a parking lot.” Rossi was responding to Bradley’s announcement on Dec. 21, 2018, alerting professors that the Williams faculty housing complex was to be torn down in order to construct a parking lot. This parking lot would complement the Inn and Institute—a building that will combine an inn with a space dedicated to conferences and other events that will, according to Bradley, “put Vassar on the map.” Originally, faculty members were instructed to vacate Williams by December 2019. However, in response to criticism on the part of Williams residents and other empathetic residential faculty, the College moved the evacuation date to June of 2020, when Williams is scheduled to be demolished. The decision comes after a lengthy string of negotiations. According to Professor and Chair of Computer Science Luke Hunsberger, the proposal to tear down Williams—where he is a resident— was originally taken off the table by Bradley during a faculty meeting in Spring 2018 and replaced by a proposal to place the Inn and Institute at the corner of Fulton and Raymond Avenues. “I also objected to the second site pretty strongly because it was on top of the green space that is used for the weekly farmers’ market,” said Hunsberger in a phone interview. “It would totally change the character, basically putting up a wall to the adjacent Poughkeepsie community.” This proposal, however, had to be withdrawn due to parking codes and traffic regulations of the Town of Poughkeepsie and NY State Department of Transportation, as the Inn and Institute would infringe on the busy roundabout. 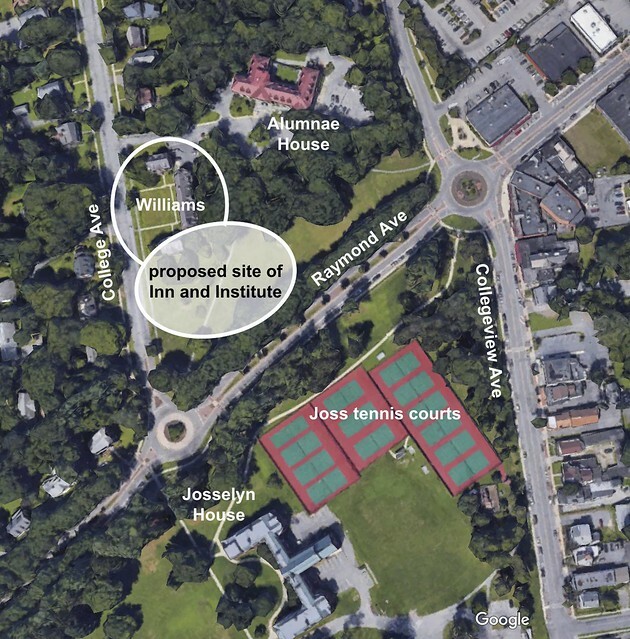 At this point, Hunsberger explained, a variety of other options for placement—including in front of the Vassar Farm and behind the Josselyn House tennis courts along Collegeview Avenue—were floated and eventually rejected. Bradley agreed that, in retrospect, she could have delivered the news differently. She corroborated that her choice to announce the demolition in December was informed by a change in funding and uncertainty as to whether the Board of Trustees would approve the project. While the Trustees proposed the construction of an Inn under President Catharine Bond Hill’s tenure, acquiring the funding necessary to complete the project continued under Bradley, who refashioned the Inn to include an Institute dedicated to communal, pluralistic intellectual projects. Notably, the majority of funds necessary for the Inn’s construction were supplied by an anonymous donor, meaning the resources could not be delegated elsewhere. On Dec. 8 last year, the College received donations toward the Inn and Institute that would cover the remaining projected costs. Bradley then met with the Trustees, but the Board did not reach a conclusive decision. Given that the Trustees would not convene again until Feb. 2019, Bradley felt she should alert residents immediately. Following the December announcement, Hunsberger asked the Committee on Faculty Housing to call a meeting, during which 30 to 40 professors and staff strongly objected to the plan. Faculty raised the concern of ongoing infrastructure neglect, which, Hunsberger noted, has led to four or five faculty buildings along College Avenue standing empty and uninhabitable, thus restricting housing options for incoming faculty. Hunsberger noted, “Ever since the 2008 financial crisis, the trustees have held back the reins on the endowment”—a statement confirmed by Dean of Strategic Planning and Academic Resources Marianne Begemann, who explained that the College has instead prioritized financial aid to the greatest extent possible. On Feb. 22, the College held what Bradley characterized as “a large intervention,” resulting in the Trustees committing to prioritize investment in faculty housing, including constructing a new house to replace Williams. 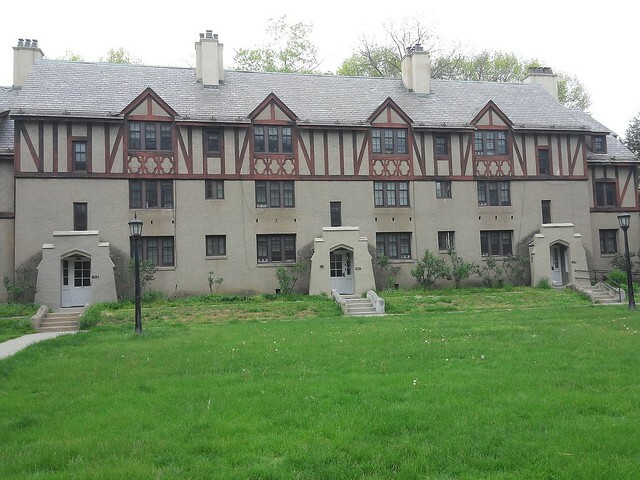 The Inn and Institute will be situated on the south side of the Alumnae/i House lawn. One proposed alternative footprint for the project would have utilized the space currently occupied by the Josselyn tennis courts and adjacent green area. Sourced from Google Earth. Editing by Talya Phelps/The Miscellany News. In addition to holding meetings with professors, administration has attempted to placate discomforts by allocating resources to preserving faculty housing. Begemann stated: “The number of apartments that will become available this year and next due to… natural turnover is sufficient to accommodate the continuing faculty who reside in Williams[. ]” Further, Begemann relayed the College’s intention to replace the units lost when Williams is removed and increase the quality of housing it provides. 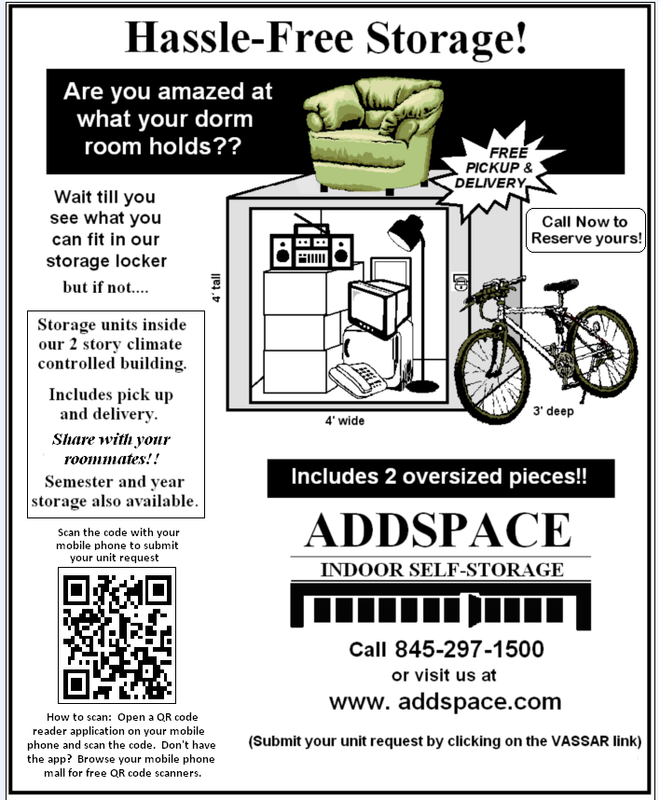 While there are 20 usable units in Williams, Bradley indicated that the College plans to construct approximately 30 to 32 affordably priced units, ranging from studios to bedrooms. Williams House currently occupies #163 to #171 College Avenue. Although the complex contains 21 apartment units, one is unusable due to its proximity to the furnace. Courtesy of Colin Knopp-Schwyn via Wikimedia. Constructing a new complex may also reduce the College’s carbon footprint. Bradley stated, “The opportunity that removing Williams gives us is to reinvest in faculty housing so that the new housing…is in fact accessible, sustainable, green building, made contemporary.” Belli also identified the new complex as a way to contribute to the environmental efforts of the Sustainability Committee: “If…nothing needed to be renovated, then you’d have a hard time putting money into carbon neutrality, but because it already needs something…we could have that money that we put into it sort of do two things.” Nevertheless, he acknowledged that construction plans often change, which could mean abandoning ideals of sustainability.